Blogging for me has been filled with pretty amazing opportunities that I never even dreamed about 2 years ago. It's been tons of fun; you get to attend some fab events, receive some great perks, meet cool people, brand campaigns and possibly even film TV segments. It is a lot more work than people think but so rewarding and satisfying... But none of these have made me feel as grateful and inspired as last night's event. Dana Prigge from Daily Fashionista invited me to attend Bottomless Closet's Charity Event last night, hosted by celebrity stylist Derek Warburton. We got to meet about 50 women from all walks of life. Some are homeless living in shelters, others have been abused, a few haven't had a job in years... but one thing they all had in common was their smiles and hopeful positive attitudes. What I was most inspired by was their ability to see through all the sad and difficult circumstances and have the dream and hope to better themselves. 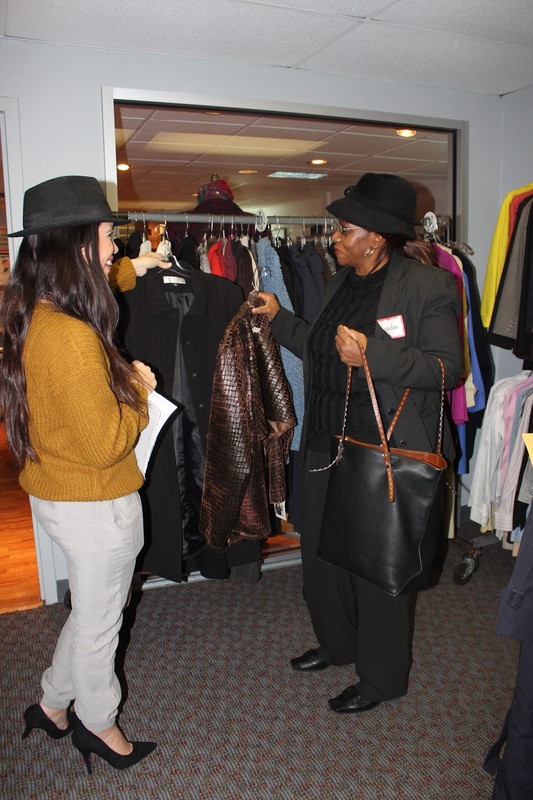 Bottomless Closet helps them get back on their feet by providing clothes for interviews as well helps them build their self esteem through workshops. It is a very powerful organization that truly helps change the lives of women in need. And I am so touched by this amazing charity. I was very touched by their stories, even shed a few tears listening to them... but they remain so strong. They truly inspired me to be a better person and simply gave me a sense of humility and reminded me to be grateful for what I have and to cherish more and complain less. Their smiles and cheerful energy lit up the room. It was truly a life changing experience not just for me but I would say for all of us in attendance last night. I truly hope I made a little difference in their lives because it made a huge difference in mine. It was such a great experience and I am so glad I attended. I can't thank you enough Dana and Derek and I can't wait to volunteer again. Here I am helping Jacqueline choose her pieces. She was really into jackets and she took home two fabulous jackets including this brown textured one. Such a sweet lady, good luck in your new job! All of us with Derek sporting huge smiles after a rewarding + successful night! 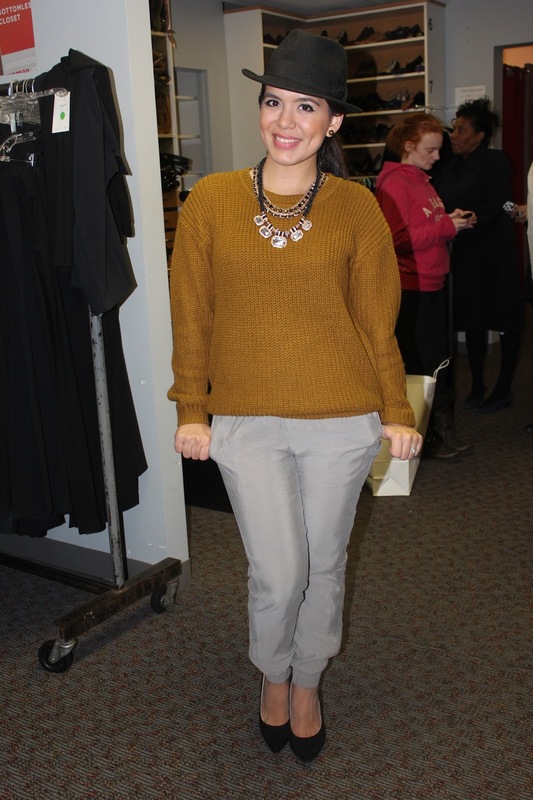 Huge thanks to Melissa from Super Glam News for taking these pics, you are such a sweetheart! And of course thank you again Derek + Dana, you guys are both beyond sweet and fab. If you would like more info on how you can help please visit their website at www.bottomlesscloset.com We all have things in our closets we no longer need or use. Please help these women achieve their goals and better their lives. They will feel great and so will you, I promise you.